Remember this tweet: Samsung will start the Galaxy Tab Android 4.0 updates next month. 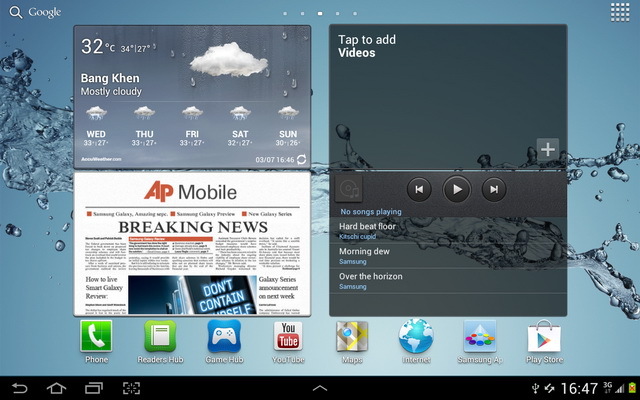 Today we are happy to tell you the first Ice Cream Sandwich firmware for the Galaxy Tab 7.7 GT-P6800 has been released on Samsung KIES. Samsung planned to update their tablets to Android 4.0 in July and August. One of the best tablets by Samsung is the GT-P6800 with Super Amoled Plus screen. We of SamMobile will start the making of the Galaxy Tab 7.7 review today! Pictures are not original screen resolution!!! The next tablets will receive an Android 4.0 update. Does anyone knows when Samsung will release 4.0.4 firmware for Galaxy GT-P7501? Hi I have got a P6800 XSG – so UAE model and would like to know when ICS will be available or which firmware is safe to flash with? What a TOTAL DISAPPOINTMENT!!!! After months of waiting, Samsung finally released ICS update OTA and I got to update my GT-6800. Everything else works fine but I could not connect to my Home WiFi. I even downloaded the firmware from this site hoping that it works but still the WiFi bug exist. If Samsung is just trying to please their customers by releasing this ‘THRASH’ it will be a big mistake! If any of you Samsung people are reading this, TAKE HEED!!!! Still waiting for ICS for my GT-6800. Anybody who knows when it will hit Denmark? when to update the galaxy tabs 7.7 GT-6800 in Lithuania? I’m looking forward to Android 4.0 update. 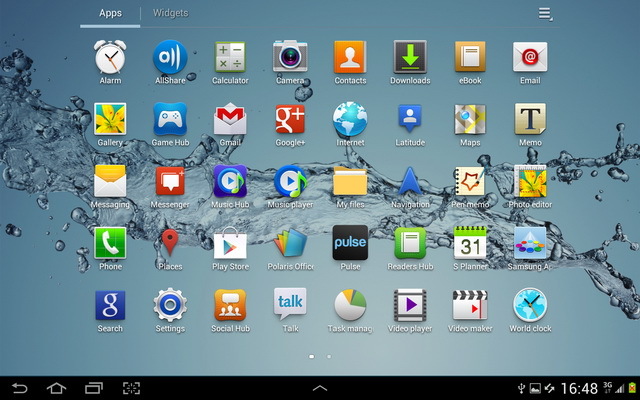 How about Galaxy Tab ICS for GT-P7501 Galaxy Tab 10.1N WIFI + 3G? Should I wait for it in Germany? 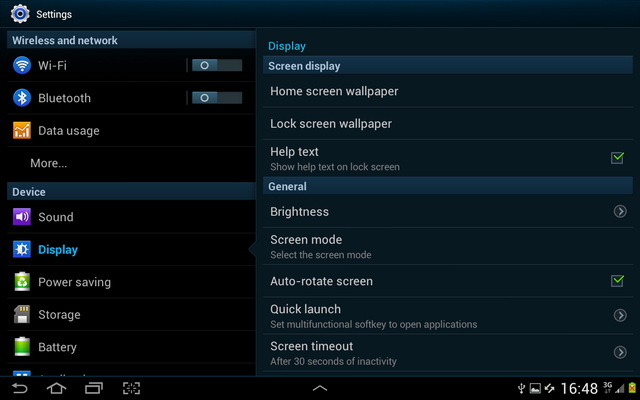 just update via odin and just flash the pda part then voila..ics baby..
I’m disappointed. samsung firmware update is terrible. samsung only focus at selling new devices and forget their old product. I’ll never bought samsung product anymore. It seems like almost the owners of Android tablets and smartphones in the world are start using ICS firmware platform…….I keep waiting and wondering when the ICS official released firmware updates for P6800 will be available for Asia regions with chinese support!!!??? Samsung mobile team…….please work extra harder……..you are almost left behind the others!?!!?? what is the date for release in Asia? does anybody know why this upgrade is not available when I searched for it in kies? Just finished updating my GT-P6800 using the instructions and software provided here, my tab now looks and works like my Galaxy S3. Glad I have joined up so that I can keep up with all the Android news. Easy to understand instructions and the firmware update was a breeze ….. keep up the good work! I live in the uk, just bought a P6800 awaiting delivery .. I read everywhere ICS 4.0.4 has been released on Kies Austria … Please help and clarify, does that mean I can update the firmware here in the uk using Kies Austria ? what are the side effects ? if not, what is the way to do it ? pls, try to make it clear for me, the rest of you make update via kies, or with odin ? but the only version is for austria for gt-p6800…. please help me understand….